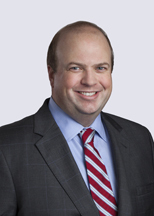 Mike Hindelang is a commercial litigator with substantial experience in the securities, corporate governance, and corporate investigations arenas and in high-stakes cases where significant monetary amounts or prominent reputations have been implicated. He also advises business entities on data security issues, including responding to data breach incidents, and leads privacy litigation matters. Mike counsels on information management issues, including e-discovery planning and records retention, in both litigation and non-litigation settings. Mike holds Certified Information Privacy Professional/United States (CIPP/US) and Certified Information Privacy Management (CIPM) credentials given by the International Association of Privacy Professionals (IAPP). Michael P. Hindelang is quoted in the Business Insurance article "Data breaches for comp insurers inevitable, preparedness key: Experts"
GDPR is Here! Now What?